On the last day of work before Christmas, Angel tagged along to our office to join us in a sort of Christmas party in the afternoon. To keep her busy and at the same time leave me alone while I worked in the morning, I asked her to take a video of all of my officemates. It was the first time my daughter had the chance to use the Flip. The Flip Video Ultra HD Video Camera (3rd Generation) was sent by my sister from the States this month. We bought it from Amazon via credit card and had it mailed to her postal address in California. The video cam is easy to operate that my daughter had a blast using it. There are no other buttons to use except the red one to record and stop and of course the on/off switch. 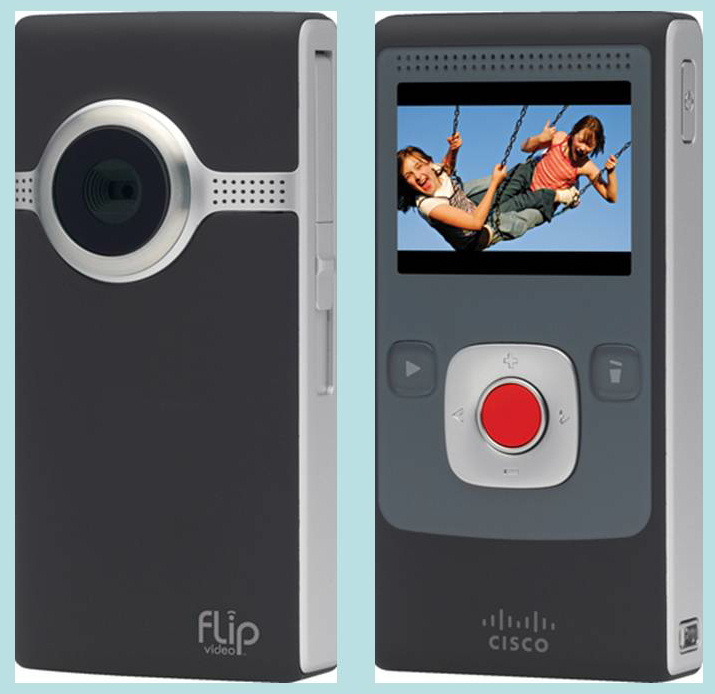 The Flip, from Cisco, has a 1280 x 720 resolution with an 8 GB internal flash memory which can shoot up to 2 hours of HD video, although the battery doesn't last that long, i think. In case you ran out of power, you can use three "AAA" battery by replacing its battery infront of the camera. It also has image stabilization feature which minimizes handshake movement. It is best used in bright location as the resolution turns bad in dark or dim places. The only problem I had was uploading it to youtube. It seems that youtube does not recognize the mp4 format of the Flip. What a cool gadget you got there! I'm sure Angel is enjoying it much! How was your New Years Eve? Did you light lots of firecrackers? 'Hope it was safely enjoyed! Zugbu Liempo: Tastier than Cebu Lechon?